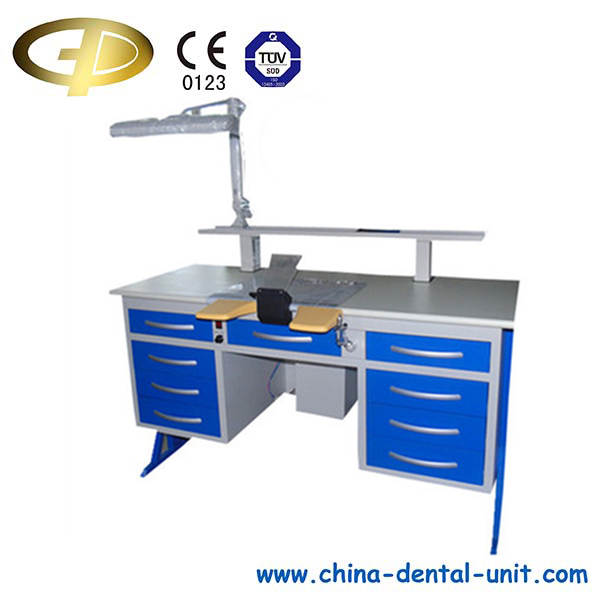 DL-06 Dental Laboratory cabinetry-Dental unit Dental Equipment Foshan Golden Promise Import & Export Co., Ltd. 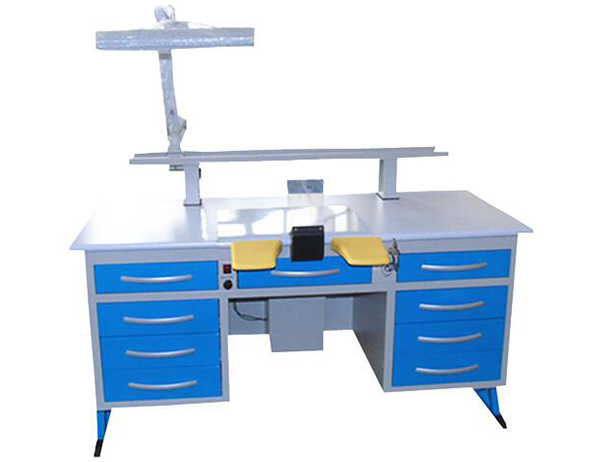 The Dental Lab Bench is a necessary tools in dental laboratories.The table top is made of fireprool sheet or stainless stell sheet or marble sheet,etc. 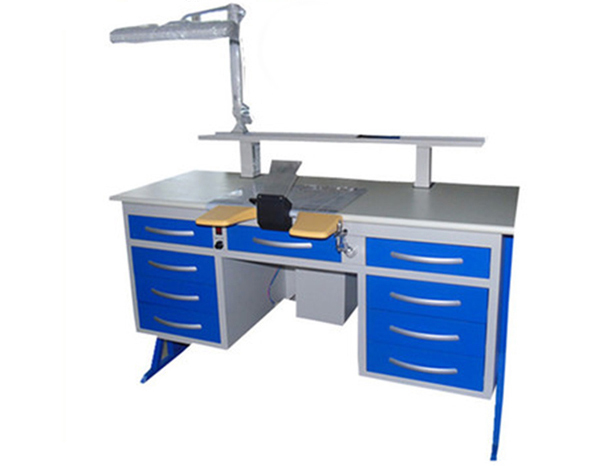 The table frame is made of steel, It is equipped with rotatable lamp, stainless working platform, air gun, arm rest, suction device system, storage drawer.etc. 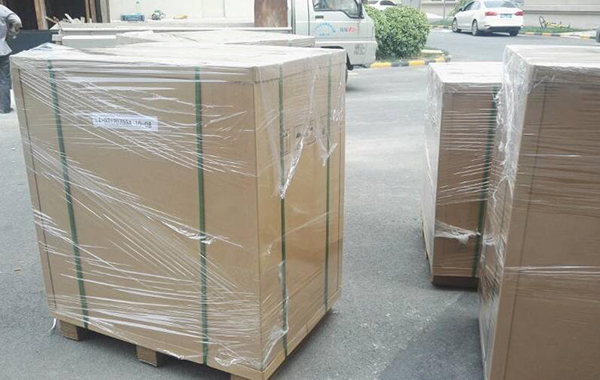 For transportation and packing reasons, some parts of the machine are packed into several packages. Users should check if there is any part missing or damaged before assembling the table. Before using , make sure the sockets of the power supply and air supply are compatible with this table. Make sure there is a good grounding and check if the ground connection is reliable. Make the table flat and stable by adjusting the height of the table foot. Make sure there is no leak in the air pipe and joins, the vacuum motor cannot work continuously for long hours. It is recommended and stop the machine as much as possible. Collection too much dust might cause problems, when there is noise in the motor, please turn it off immediately, restart the machine after the problem is solved. Please refer to the connection guide pasted on the table board for light installation. 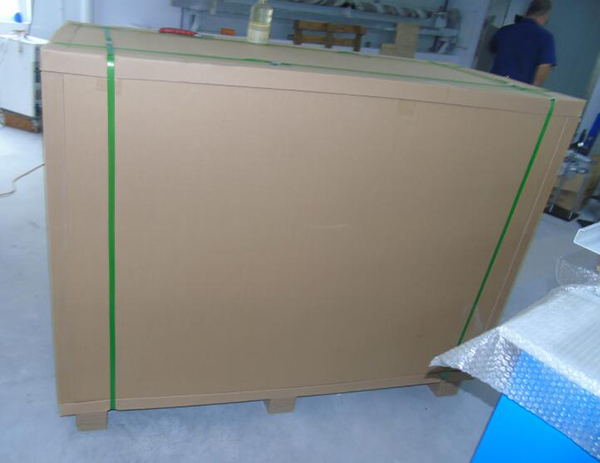 The wire connecting terminal is below the table board, behind the dust drawer, insert the air inlet into the rectangular hole under the table, and turn put on the PVC pipe. Loosen the butterfly bolt on the vacuum and take out the dust box. Put back the dust box after getting rid of the dust. Then tighten the butterfly bolt. While moving the table, please lift by the table frames. Do not lift by the table board or drag.